Iris is part of an attempt to develop a tangible prototyping system so fast and flexible that it would allow designers to develop new interaction paradigms for technologies that don’t even exist as yet. One of the early bonuses is an Augmented Reality based technique to maintain physicality while gaining the advantage of mounting a screen on the prototype without the scale, power, speed and technological issues that accompany such an inclusion. Dimitrios Zampelis, spotted the potential for the AR Toolkit to simulate an embedded screen. Dimitrios mounted a camera to the rear of a PC monitor so that any object with the appropriate barcode held behind it showed on the screen with the virtual screen projected on its surface. 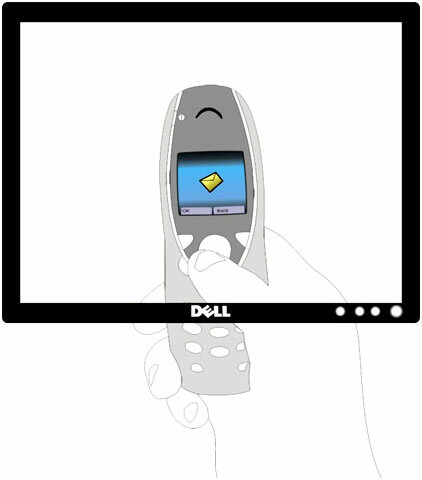 This means that the user continues to both feel and see the device, however, because of the augmented reality aspect, they can also see the screen ‘on the in situ’. Dimitrios modified the AR software to work with keyboard triggered Flash files and so the system will also work with the IE System or StickIT At the time of writing is working on being able to automatically simulate accelerometer and gestural inputs through further modifications to the AR Toolkit.